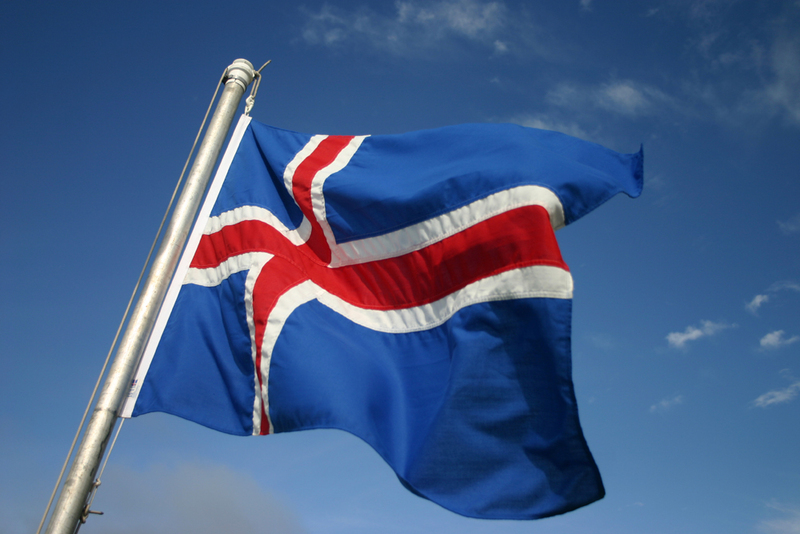 The shot that captured the night was the slow but persistently waving Icelandic flag. Some lone fan leaned against the stage, and waved the flag like the turtle from Robin Hood – that is, gently and unfaltering. múm played for a sparse but appreciative crowd Sunday night at 9:30 Club. The Icelandic collective, best known for tracks like “Green Grass of Tunnel” and “We Have a Map of the Piano” makes down-tempo, experimental electronic music inflected with acoustic instruments. Last night, these acoustic instruments included a cello, which Gyða Valtýsdóttir plays standing, and a water jug used as a drum. The group was a little pretentious and, begrudgingly, I loved it. They opened with “Sveitin milli Sólkerfa,” a track that – like the two aforementioned tracks – is off of their second record, Finally We Are No One. The song’s a 12-minute slow burn, and it was their strongest of the night. The glitchy, building beats along with Valtýsdóttir and Sigurlaug Gísladóttir’s voices feel like a call to the new communion. Örvar Smárason spoke for the band that night. His banter was amusing but never clownish, much like the band; they’re cool, but toe-the-line dull. “I’m going to play a special apparatus now called a synthesizer,” he told the audience, a line he’d also used during their KEXP performance. He also made some rehearsed jokes about how it’s now “bikini weather” in DC. I’m sure nothing is cold like Iceland, but it’s f–king freezing out. Though if you want to wear a bikini, Örvar, be my guest. “A Little Bit, Sometimes” was the most energetic track of the night, from their 2006 record Go Go Smear the Poison Ivy; it sounds like a really cool cover of “Hotel California” that Yann Tiersen helped arrange. Much of their music actually reminds me of Tiersen. It plays on the same tropes of eclectic instruments, modal changes and a subdued aesthetic. Like Tiersen, they had a strong record in the early aughts and have since continued to make music from that capital. For Tiersen, that record was L’Absente (2001), which was famously used for the movie Amélie (2001). For múm, that record was Finally We Are No One (2001). Since then, múm has continued to make music in a similar vein, but I’m sure only a deeply invested fan could tell me why they keep coming back to it. Since Finally We Are No One, their music doesn’t sound much different, but it has little of that initial verve. Still, I envy what they do, and still, I enjoyed their performance. The crowd was small and quiet, but genuinely enthusiastic in their applause after each song. I probably wouldn’t go see múm live again if I had the chance, but I’m sure they’ll continue to come up in my work-related listening. Follow múm on Twitter to learn of upcoming performances, and check out their KEXP performance for further listening.